This newsletter gives us valuable tips on saving. Are you a spender or a saver? If you are a spender, how can you change this? It’s all about changing your mindset. Read this newsletter to find out about ‘conspicuous’ spending and also how ‘spending postponed’ can save you a fortune. 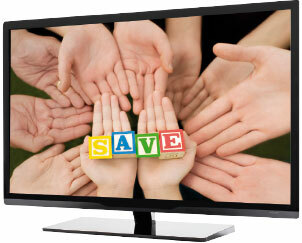 We also feature celebrities as role models and their tips on saving. Spender or Saver – which one are you? It’s no secret that many South Africans are big spenders but not big savers. 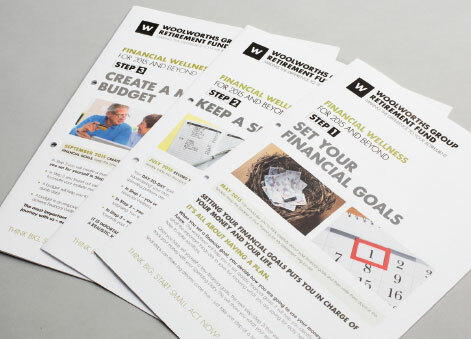 Recently the Fund rolled out a Financial Wellness programme of 5 steps to encourage you to re-examine your relationship with money. You can find these steps on Imbizo or on www.wgrf.co.za. IT’S NOT HOW MUCH MONEY YOU HAVE, BUT RATHER WHAT YOU DO WITH IT THAT COUNTS. CONSPICUOUS SPENDING IS WHEN WE SPEND MONEY TO BUY LUXURY GOODS FOR ‘STATUS’ AND TO ELEVATE OUR SOCIAL STANDING. Whether we like to admit it or not, we’re all guilty of buying things we don’t need in order to keep up with those around us. The culture of conspicuous spending is driven by daily messages to buy goods and spend more. We live in a world where the economy relies on people to spend, and so we are constantly bombarded by messages to consume. Things that we don’t really need become ‘necessities’ because we are told over and over again that immediate gratification is normal. Social media contributes largely to our perception that it’s okay to live beyond our means. We see other people’s behaviour on a daily basis and think ‘everybody else spends’ and so we should spend too. WEALTH IS NOT WHAT YOU SPEND, IT’S WHAT YOU SAVE. The biggest problem with this trend is that we tend to spend money to gratify our immediate wants, rather than long-term needs like buying a house or saving for retirement. How do we find ourselves in this position and why is conspicuous spending becoming such a damaging trend? Our increasing access to credit and borrowed money makes it very easy to buy without having the cash on hand (or in the bank). Technology has also allowed us to spend without much thought. 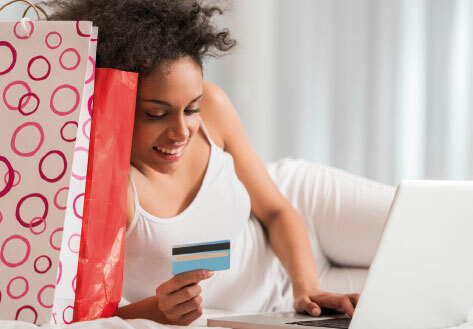 For example, Internet shopping is instant and being able to ‘mindlessly swipe’ a card is easy to do, without really thinking of the long-term consequences. More than ever, young people have ‘the power of spending’ because they have grown up with access to credit and have become conditioned to prefer gratification over saving. Not everyone is a natural saver, therefore education is the key to teaching young people to change their attitudes. We need to make young people more mindful of the future and teach them that happiness today may come at the cost of financial unhappiness tomorrow. Early education makes young people better equipped to make the right financial decisions. They need to understand what budgeting is, how interest works and how to plan for the future so that their money grows. Role models can also change the mindsets of young people and can use social media to send positive messages about saving rather than conspicuous spending. A GOOD PLACE TO START IS TO AVOID THE HIGH COST OF CREDIT. Say the word ‘save’ and increasingly the conversation turns to the word ‘debt’. South Africans struggle to save because they are drowning in debt. It becomes easier if you consider saving as ‘spending postponed’. Get into the habit of saving for what you want rather than incurring debt. This way you can save a great deal. Look at the diagram below. You are also then living within your means. 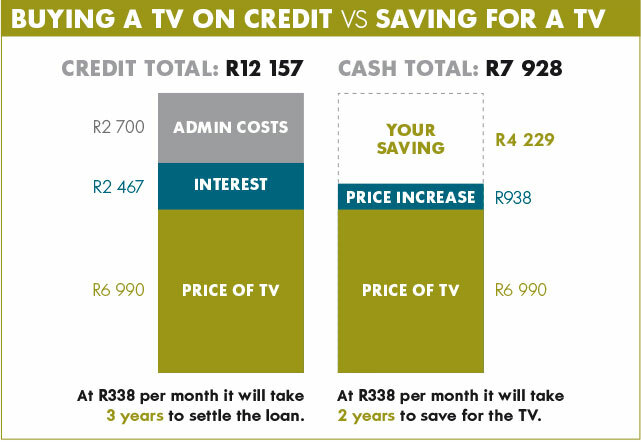 If, after paying for the item in cash, you carry on saving the R338 per month to the end of the 36-month term, you will have an added bonus of about R4 500 in savings. You can put this into your emergency fund or an investment. IF PEOPLE YOU ADMIRE ARE SERIOUS ABOUT LIVING WITHIN THEIR MEANS, WHY NOT IMITATE THEM? Actress and model Pearl Thusi and award-winning rapper Cassper Nyovest used their celebrity status to encourage fans and South Africans in general to #ConspicuousSaving. During National Savings Month in July, their fans were drip-fed a stream of messages that show that they are into saving, not the conspicuous spending you would expect of people living the ‘high life’. Nyovest posted photos of having his hair cut by a roadside barber, with the caption, ‘As good as it gets and half the price’ and buying his braai meat in bulk with the caption ‘buying bulk = spending less’. Thusi’s Instagram post recently said, ‘Rich people stay rich by living like they are broke. Broke people stay broke by living like they are rich’. It attracted more than 4 300 likes and her savings tips have also been a huge hit. Cooking food in bulk saves you money and time. Buy items of clothing second-hand and mend rather than replace old clothes. These save a pretty packet and give her some quality time with her daughter. 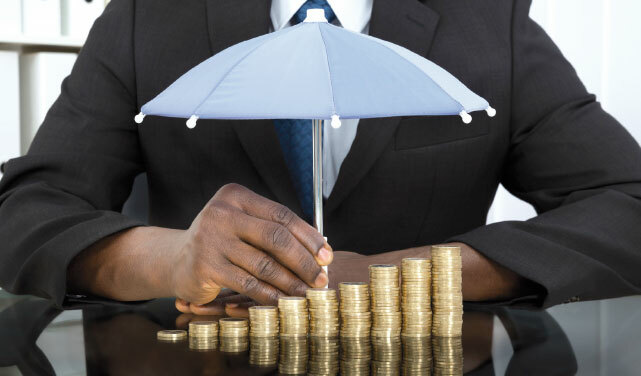 Thusi says that you should get a ‘good handle’ on your finances. Ditch your expensive gym membership and work out at home. This also saves petrol and time, and gives you more time with your children. Teach your children good values, including how to look after money, which means being a big saver rather than a big spender. Thusi says the lifestyle that her fans think she’s living is not entirely real. ‘What people don’t realise is that those beautiful dresses you see me wearing: I don’t own them – I’m just modelling them. The same goes for the accessories. They aren’t mine. I couldn’t and wouldn’t spend that much on clothes and accessories. These celebrities believe that taking control of your finances and being a ‘conspicuous saver’ should hold more bragging rights than over-the-top spending. It’s a powerful message in a country where most consumers are living beyond their means. ‘If we constantly live beyond our means we’ll never have enough money to afford the lifestyle we aspire to. So it’s important to make saving a priority, so we can turn our income into sustainable wealth,’ Thusi says. 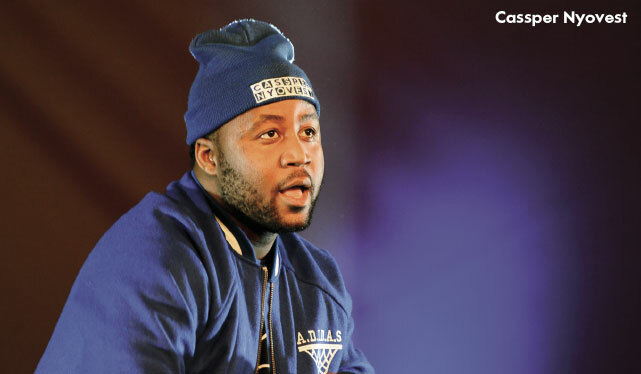 Nyovest says: ‘Don’t borrow money. Rather work and pay for what you need in cash. I would love this to be the new culture in South Africa.’ The rapper has no tolerance for people who expect hand-outs. He’s a big believer in ‘working for it yourself’. A budget is the cornerstone of your financial plan, and your daily decisions determine your financial destiny. Saving and investing actually mean paying yourself first, but we don’t think of it that way. When asked what the first line item on their budget is, most people say ‘bond repayments’ or ‘rent’ or their ‘accounts’. Although a home is an investment, saving for a short-term goal or investing for a long-term goal should be the first expense on your budget. It’s psychological: if you don’t pay yourself first, you may feel negative about your budget. A budget is a matter of balancing your input and output, not the difference between having a life and pinching pennies. Anyone can create and stick to a budget. Anyone. Student loans up to here, credit card debt up to there, we’ve all been there. While it might not always seem fair, dealing with debt payments on time every time — and paying back extra when you can – will help you establish and maintain a good credit record. In the short term, you should put away at least three to six months’ of living expenses in your emergency fund. Then, take a long-term view on saving and be smart. The genius is that compound interest will give your saving efforts a leg up over that rainbow. Most money worries stem from lack of planning, not capital. Always be saving, even if you’re paying off debt at the same time. Save for one goal at a time to prevent putting a big strain on your budget. Don’t get discouraged. Like all journeys, there may be a detour or two. The best way is to get back on course. We all make mistakes and what we learn from them is the key. Do you have the insurance coverage you need? Sure, it may feel like just one more expense now, but it could end up being your saving grace. 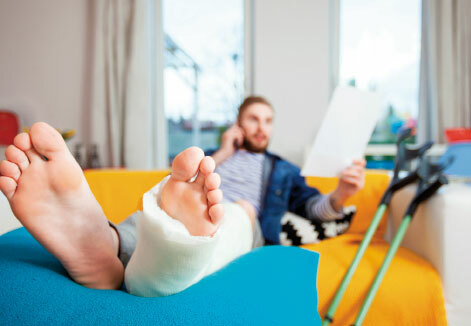 If you are properly insured, you’ll be prepared for anything that life can throw at you.